(Am 30.08.18 hat der Verkäufer die folgenden Angaben hinzugefügt 1 x Sticker. 2) Color may vary slightly due to the color setting of each individual monitor. Material: Plastic & Glass. Left Car Blind Spot Mirror Adjustable Wide Angle 360 Rotation Convex Rear View For Safety Parking. (Am 31.08.18 hat der Verkäufer die folgenden Angaben hinzugefügt 1 x Sticker. 2) Color may vary slightly due to the color setting of each individual monitor. Material: Plastic & Glass. 4) Removes blind spots perfectly, great help for safe parking. (Am 30.08.18 hat der Verkäufer die folgenden Angaben hinzugefügt 1 x Sticker. 2) Color may vary slightly due to the color setting of each individual monitor. Material: Plastic & Glass. 4) Removes blind spots perfectly, great help for safe parking. Feinbearbeitung: grundiert, zum Lackieren. Komplett mit Spiegelglas. Rügen, die diese Frist nicht einhalten, werden nicht berücksichtigt. Kia Sorento von 11/2009 bis 09/2012. Passt für. (Am 29.08.18 hat der Verkäufer die folgenden Angaben hinzugefügt 1 x Sticker. 2) Color may vary slightly due to the color setting of each individual monitor. Material: Plastic & Glass. 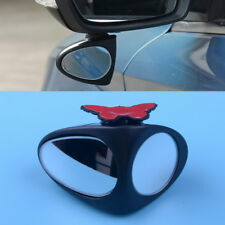 Right Car Blind Spot Mirror Wide Angle 360 Rotation Adjustable Convex Rear View. (Am 30.08.18 hat der Verkäufer die folgenden Angaben hinzugefügt 2 x Sticker. 2) Color may vary slightly due to the color setting of each individual monitor. Material: Plastic & Glass. Pair of Car Blind Spot Mirror Adjustable Wide Angle 360 Rotation Convex Rear View For Safety Parking. (Am 31.08.18 hat der Verkäufer die folgenden Angaben hinzugefügt 1 x Sticker. 2) Color may vary slightly due to the color setting of each individual monitor. Material: Plastic & Glass. 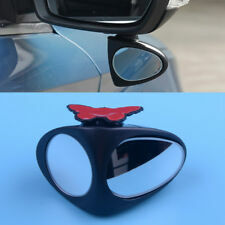 Right Car Blind Spot Mirror Wide Angle 360 Rotation Adjustable Convex Rear View. (Am 29.08.18 hat der Verkäufer die folgenden Angaben hinzugefügt 2 x Sticker. 2) Color may vary slightly due to the color setting of each individual monitor. Material: Plastic & Glass. Pair of Car Blind Spot Mirror Adjustable Wide Angle 360 Rotation Convex Rear View For Safety Parking. (Am 29.08.18 hat der Verkäufer die folgenden Angaben hinzugefügt 1 x Sticker. 2) Color may vary slightly due to the color setting of each individual monitor. Material: Plastic & Glass. Left Car Blind Spot Mirror Adjustable Wide Angle 360 Rotation Convex Rear View For Safety Parking. (Am 28.08.18 hat der Verkäufer die folgenden Angaben hinzugefügt 1 x Sticker. 2) Color may vary slightly due to the color setting of each individual monitor. Material: Plastic & Glass. Left Car Blind Spot Mirror Adjustable Wide Angle 360 Rotation Convex Rear View For Safety Parking. (Am 31.08.18 hat der Verkäufer die folgenden Angaben hinzugefügt 2 x Sticker. 2) Color may vary slightly due to the color setting of each individual monitor. Material: Plastic & Glass. 4) Removes blind spots perfectly, great help for safe parking. (Am 19.02.19 hat der Verkäufer die folgenden Angaben hinzugefügt 1 x Sticker. 2) Color may vary slightly due to the color setting of each individual monitor. Material: Plastic & Glass. Left Car Blind Spot Mirror Adjustable Wide Angle 360 Rotation Convex Rear View For Safety Parking. (Am 19.02.19 hat der Verkäufer die folgenden Angaben hinzugefügt 2 x Sticker. 2) Color may vary slightly due to the color setting of each individual monitor. Material: Plastic & Glass. Pair of Car Blind Spot Mirror Adjustable Wide Angle 360 Rotation Convex Rear View For Safety Parking. (Am 30.08.18 hat der Verkäufer die folgenden Angaben hinzugefügt 1 x Sticker. 2) Color may vary slightly due to the color setting of each individual monitor. Material: Plastic & Glass. Right Car Blind Spot Mirror Wide Angle 360 Rotation Adjustable Convex Rear View. (Am 19.02.19 hat der Verkäufer die folgenden Angaben hinzugefügt 1 x Sticker. 2) Color may vary slightly due to the color setting of each individual monitor. Material: Plastic & Glass. 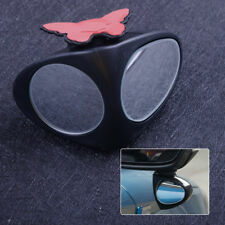 Right Car Blind Spot Mirror Wide Angle 360 Rotation Adjustable Convex Rear View. (Am 31.08.18 hat der Verkäufer die folgenden Angaben hinzugefügt 2 x Sticker. 2) Color may vary slightly due to the color setting of each individual monitor. Material: Plastic & Glass. 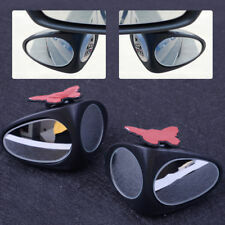 Pair of Car Blind Spot Mirror Adjustable Wide Angle 360 Rotation Convex Rear View For Safety Parking.